Has dedicated his artistic endeavors to create positive social change through the arts. He adopted Cesar Chavez ideology of art as a social service. His art includes music, poetry and theater. 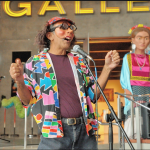 He is the founder of Xicanindio Artes (now Xico, Inc.), the Cultural Coalition, Inc, and has been instrumental in the development of Latino Arts statewide. 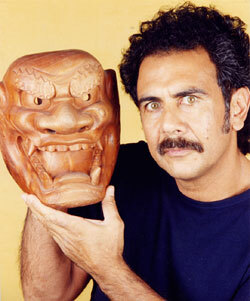 He has exhibited and received international acclaim and many prestigious awards. 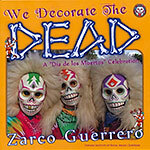 In 1985 PBS broadcast a one hour documentary about his art entitled “The Mask of El Zarco”. 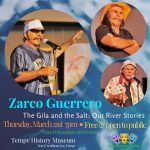 He received the Japan Fellowship from the National Endowment for the Arts, The Arizona Governors Arts Award, the Artistic Excellence Award from American Hispanics in Higher Education and the Esperanza Teacher of the Year Award among many others. He also won the 2012 Zony Award for his ground breaking work as a mask maker in Childsplay’s 2011 production of “The Sun Serpent.” He is the recipient of a Doris Duke Foundation grant to present theater to Latino communities in Arizona. In 2015 he was recognized as a Master by the Southwest Folklife Alliance. The New Times named him “Best Storyteller” in 2016. 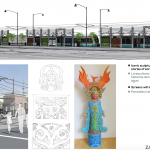 In 2017 he was chosen to design the Light Rail Station at Baseline and Central Avenues in Phoenix.